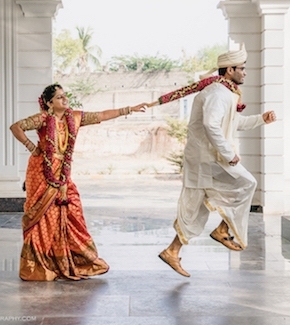 Weddings are a big affair in India. Everything about weddings is bigger and grander here but nothing can be compared to shopping for a wedding. One can begin 3 months or even a year in advance but it doesn't ever end. Right to the last moment, a bua or masi is pointing out what needs to be bought and also stating how "the wedding won't be the same without it". 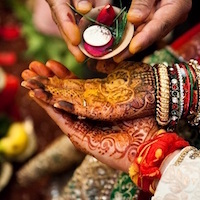 This may lead to chaos and panic, to avoid this, we bring to you the 10 best places for wedding shopping in Delhi so that you are prepared well in advance and to show them that everything is under control. Let's cover the difficult part first. Clothes are the biggest investment for a wedding because you have to dress to impress. So here are the best places for wedding shopping in Delhi. The first market which comes to your mind when you hear about wedding shopping is Chandni Chowk. Chandni Chowk is your one-stop market if you want some affordable clothes for your wedding. A Sabyasachi rip-off for just Rs 40,000 or the lehenga your favourite star wore for Rs. 50,000 is a joy to behold. Om Prakash Jawahar Lal, Asiana Couture, and Sudhir Bhai Saree Waale are some of the most popular shops there. The most affordable place to shop in Delhi, the Ajmal Khan Road has something for everyone. Frontier Raas, Study by Janak are your go-to place for some of the best wedding Lehengas. Sahil Bazaar and Chhabra 555 for some light wear, the Raymond Shop, Study by Janak and Saurabh Silk Emporium are perfect for the would-be groom. If you are looking for some unique, trendy and different designer wear for your wedding then head to the Hauz Khas Village. For new waves and traditional prints, head to Rewaz while luxurious fabrics and gorgeous embellishments are the USP of Megha and Jigar. Their amazing fabrics combined with the stunning colors create wonderful bridal attires that will surely sweep you off your feet. Shahpur Jat, the heaven for wedding shoppers houses the best boutiques and stores in Delhi. 1600 AD for hatke clothes, Madsam Tinzin for classic garments, Niket & Jainee for some of the best fusion art and AntarDESI for the grooms have amazing options for everyone and the cherry on top, they are affordable too.So, head here to buy the best clothes for your fairy tale wedding. 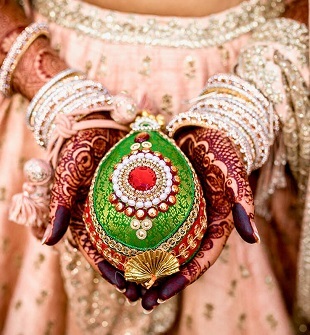 Now, for the jewellery, because an attire is incomplete without the right jewellery. There are some gorgeous artificial jewellery stores out there who can satisfy all your fashion cravings without rendering you broke and leading you to the successful wedding shopping. Also, these stores have jewellery which is as close to the real thing as they can get. Amazing bridal sets with exquisite designs are their forte. They have a wide range of products and designs to select from. The best thing about their jewellery is that it is available in almost every material possible such as stones, metals and much more. If you know anything about artificial jewellery then you have surely heard the name of Amrapali. They have a wide variety of options to choose from. The amazing craftsmanship and designs based on traditional designs yet graceful make them one of the most sought-after stores in the circuit of bridal jewellery. For the perfect bangles to go with your clothes, whether it be studded bangles, metal ones or even lac bangles, they have everything. So visit their store after the rest of the wedding shopping in Delhi to buy bangles that match and accentuate your outfit. Wedding invites, one of the most important elements of a wedding and you so do not want to get them wrong. Simple, charming designs on great quality paper, make for the perfect wedding card. Embossed, sleek cards to perfect packaging and decorating your card packages, they have it all. On top of this, they are reasonably priced. Your one-stop shop for beautiful wedding cards. The high-quality paper and beautiful designs are a reason for their popularity. They have various customization options helping you to create an invite as you like. For accessories and much more, head to Fab India, they will surely have a "cute" purse, a "beautiful" jacket or a "definite match" earrings for your outfits. What's even better is that they have stores all across Delhi. So head there to pick something for your D-day. 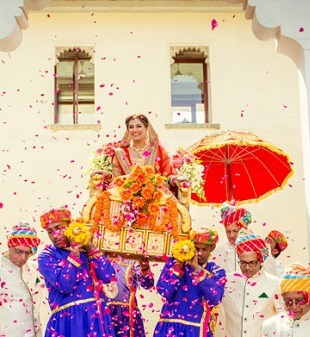 So, these are the 10 best places for wedding shopping in Delhi where you must head to. Call your sisters, friends, cousins and happy shopping.